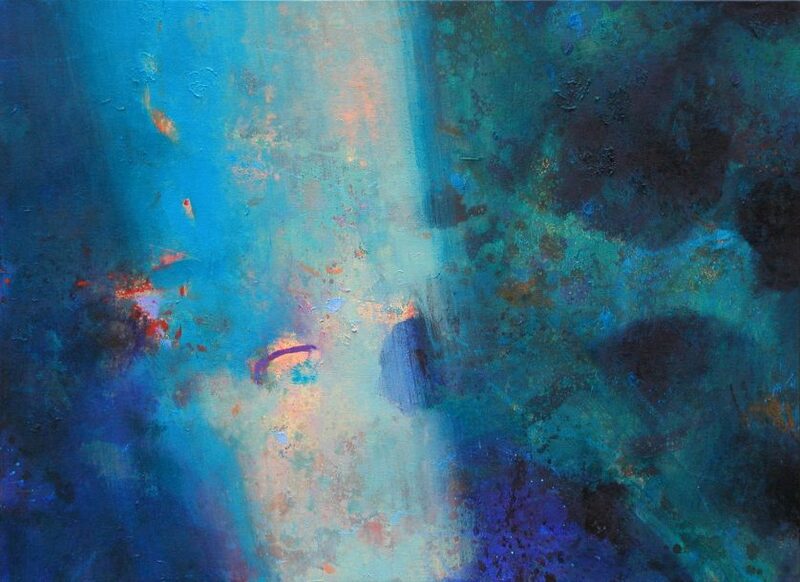 We are very pleased to welcome a selection of Gerry Dudgeon’s underwater sea paintings to the gallery. 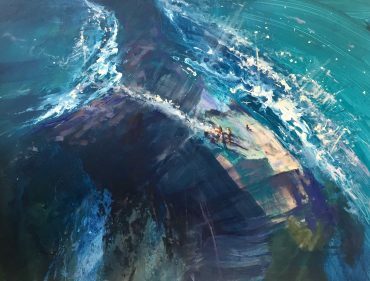 The paintings vividly capture that delicious sensation of looking into a clear sea on a hot sunny day: light, hints of fish, shadows, textures and, most of all, excitement! Gerry’s technique of layering the paint produces intense blues and turquoises which evoke the summer and sunshine. 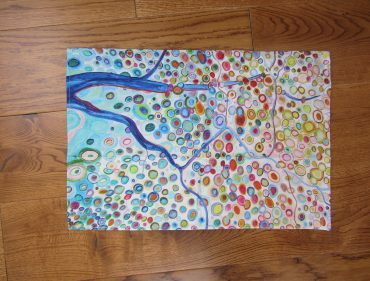 To have one of these paintings in your home would mean that summer was with you all year.